This year, grading will be conducted as part of preseason training during February and early March rather than on a single day. The Skills Clinic will be held at Berry Park on Mondays commencing 11-Feb and run for 5 weeks. It is open to all MiniRoos players who have registered and paid. There is no additional sign-up required. The first 3 weeks will focus on skills and the final 2 weeks will be focused on grading. We encourage all MiniRoos players to attend as many of the sessions as possible. Each age group will train as a squad during the preseason with the aim of grading the players over multiple sessions. 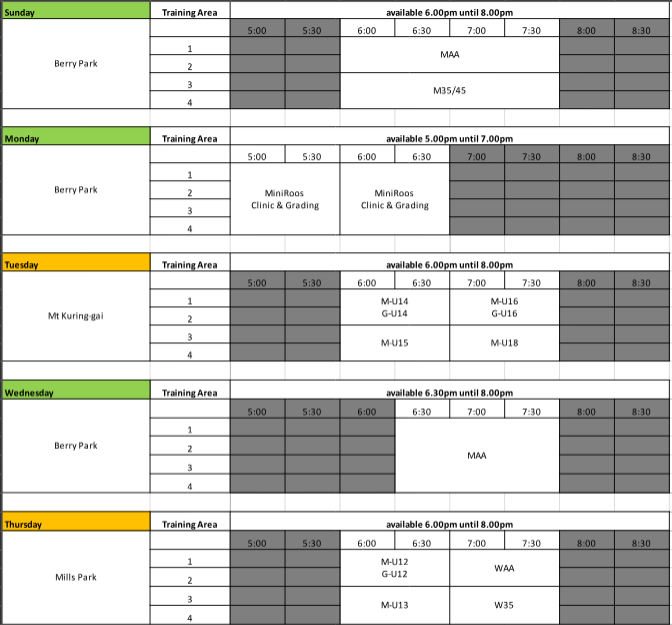 Season training rosters can be found on our grounds page. 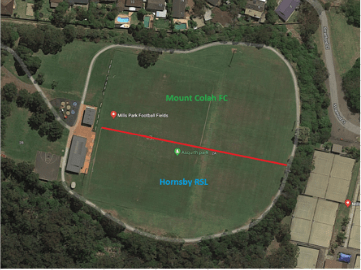 This will commence once Hornsby Council makes grounds available for winter training – usually early March.